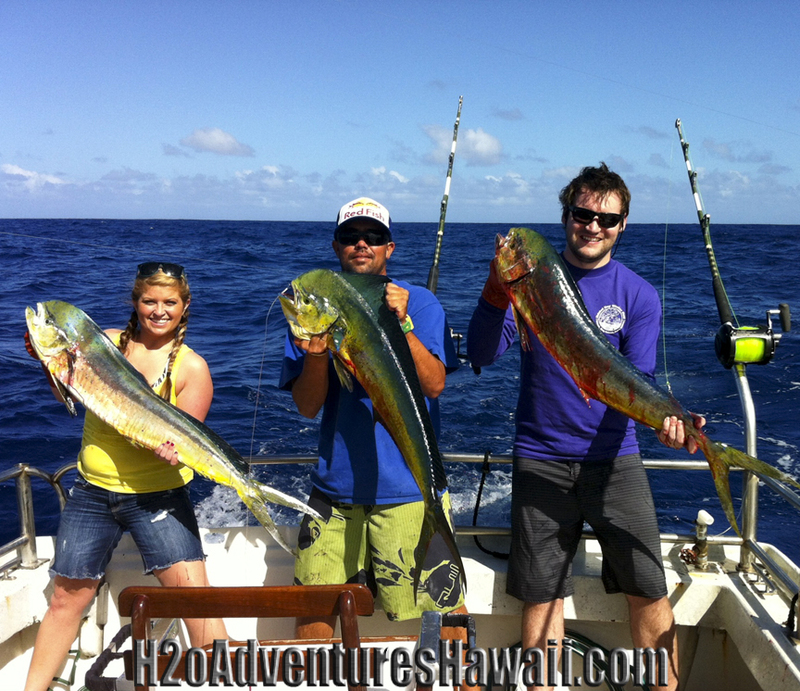 Mahi Mahi Swarming North Shore Oahu! 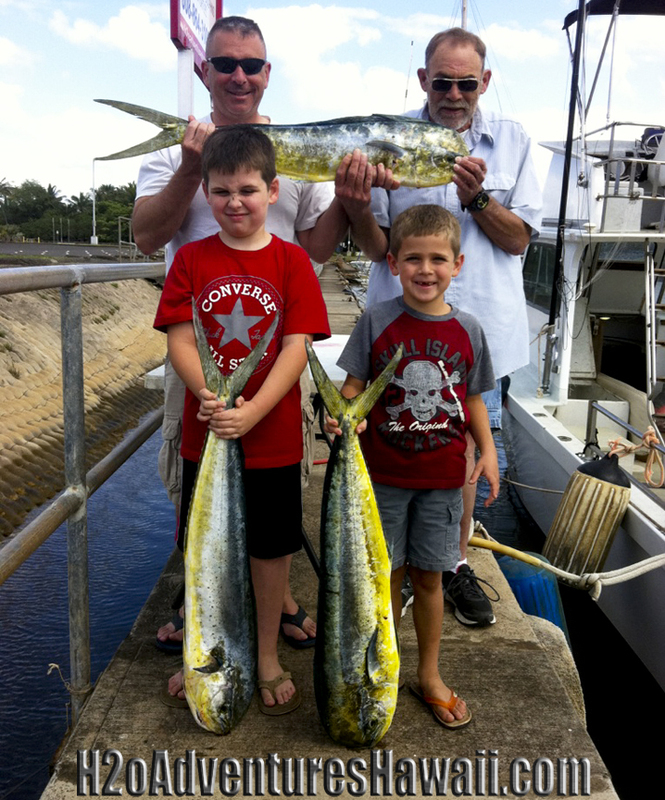 Come Fish With Us!! 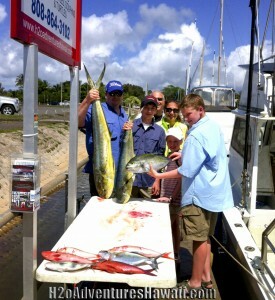 The Texans Haul in a Variety of Seafood! On their second charter on The SEEKER this week, this fun group from Texas did a little bottom fishing on the reef and then went trolling for some Mahi Mahi and Tuna in the deep blue water off the North Shore! Nice job Alan, Kendall, Dean, Jeff, Ryan & Alyssa! 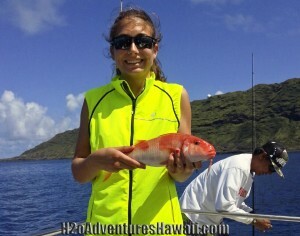 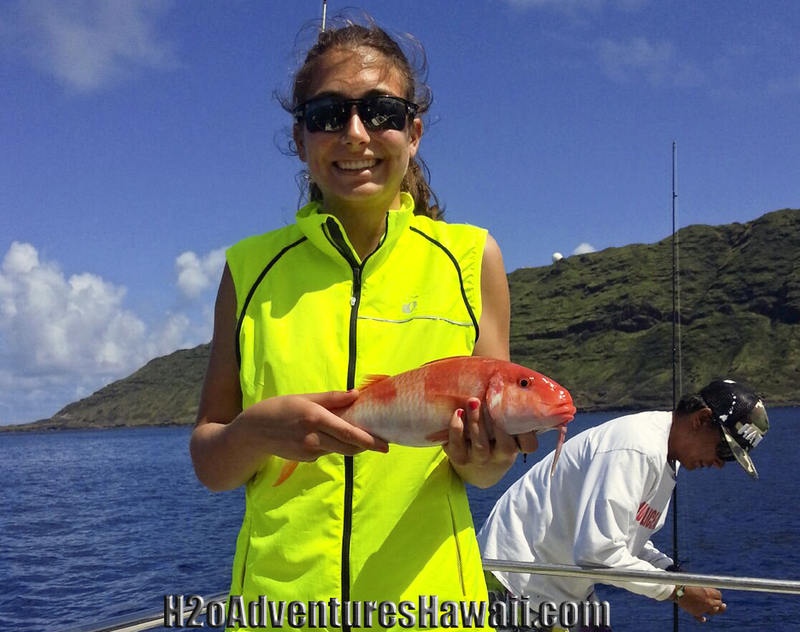 Hope to fish with you again, Aloha! 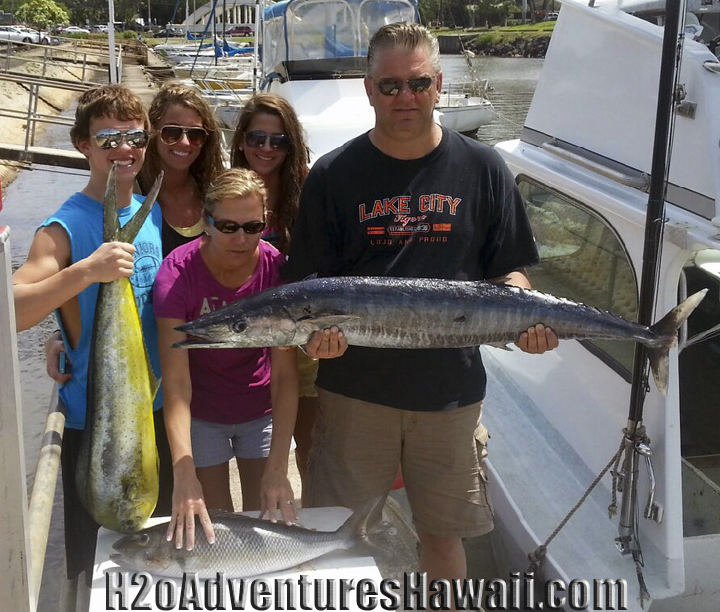 Half Day Charter Reels in Nice Variety of Fish! Ono (Wahoo), Mahi Mahi (Dolphin Fish or Dorado) and Uku (Gray Snapper) caught on this half day charter aboard The Seeker! Mahi Mahi Showing Their Colors! 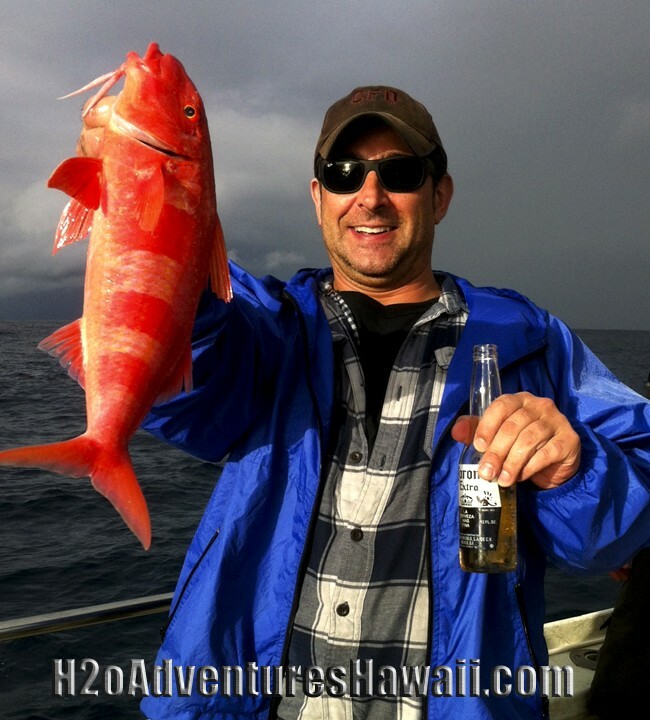 Beautiful fish, exciting to hook & reel in as they fly out of the water, jumping on the end of your line with their flashy color, and oh Soooooo good to eat! 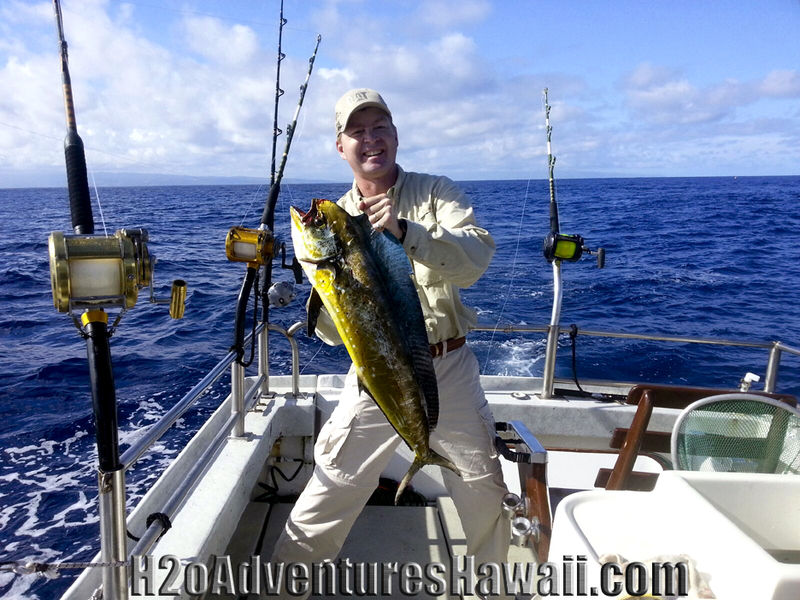 This is Alan from Texas with a beauty caught fishing aboard The SEEKER on his 3-25-13 charter off the North Shore of Oahu, Hawaii. Charter Trip Full of Quality Fish! 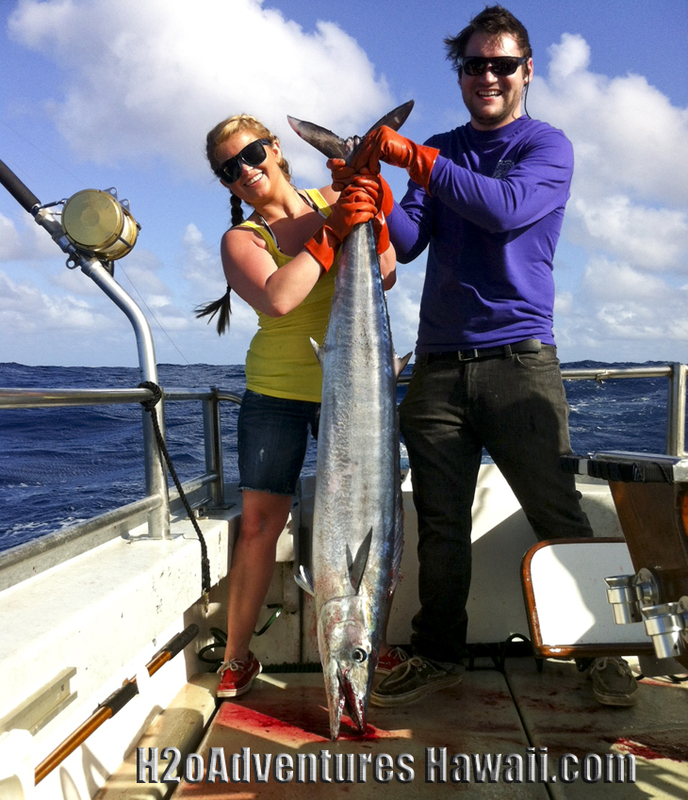 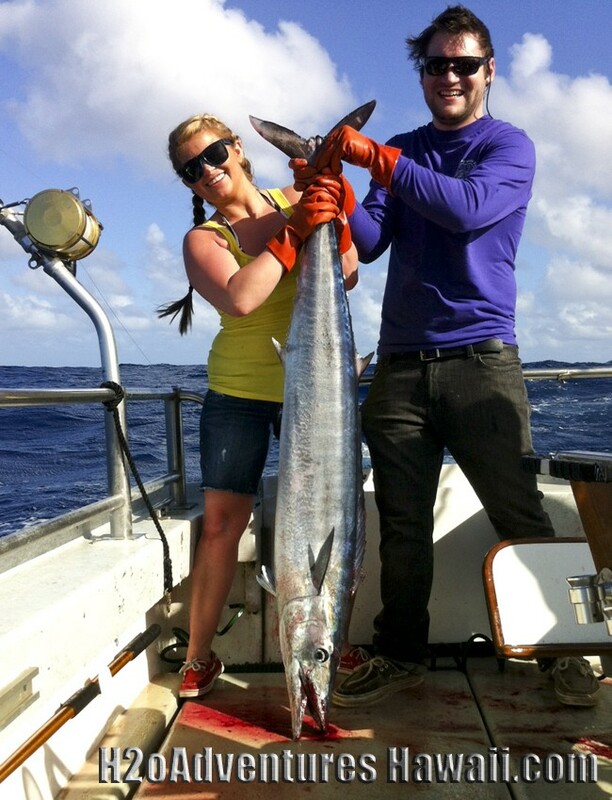 What a charter trip for Ben & Tanya from Alaska! 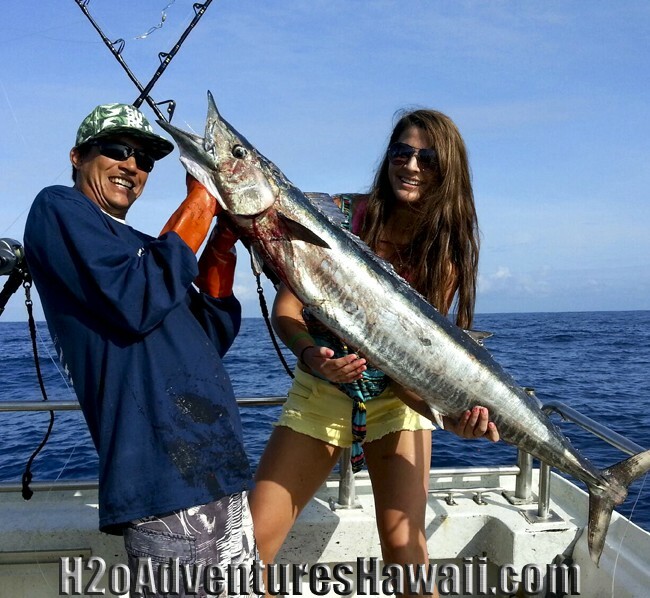 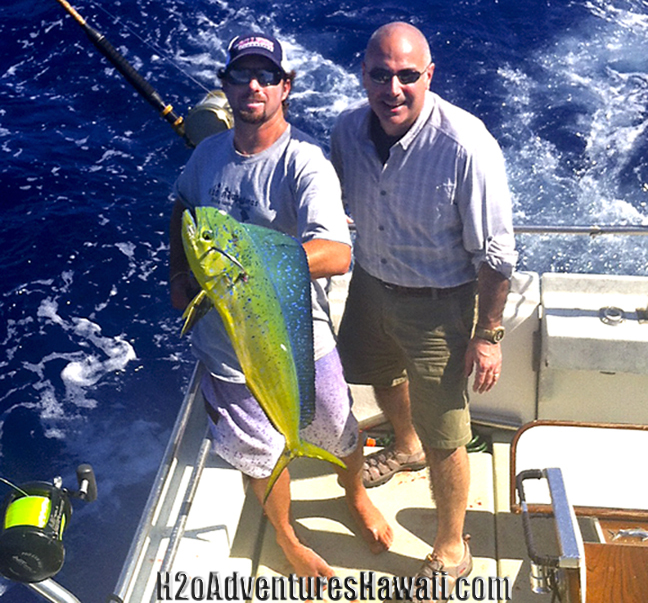 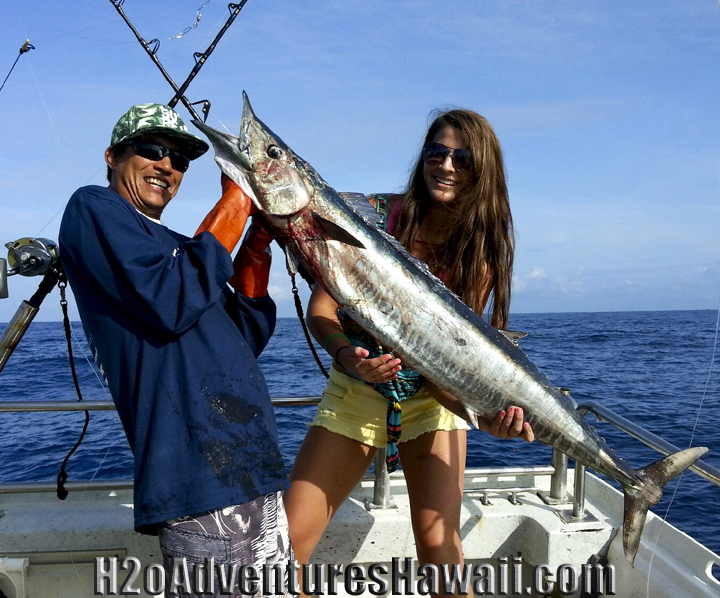 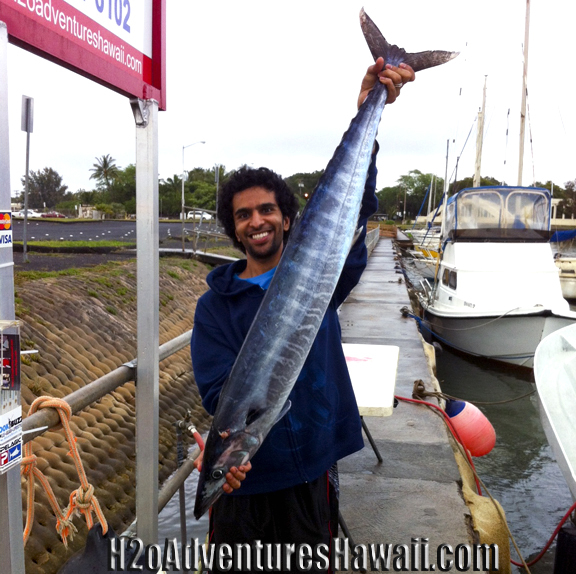 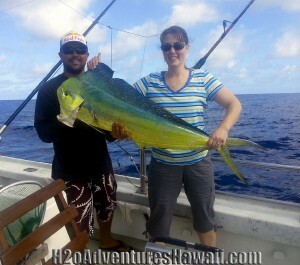 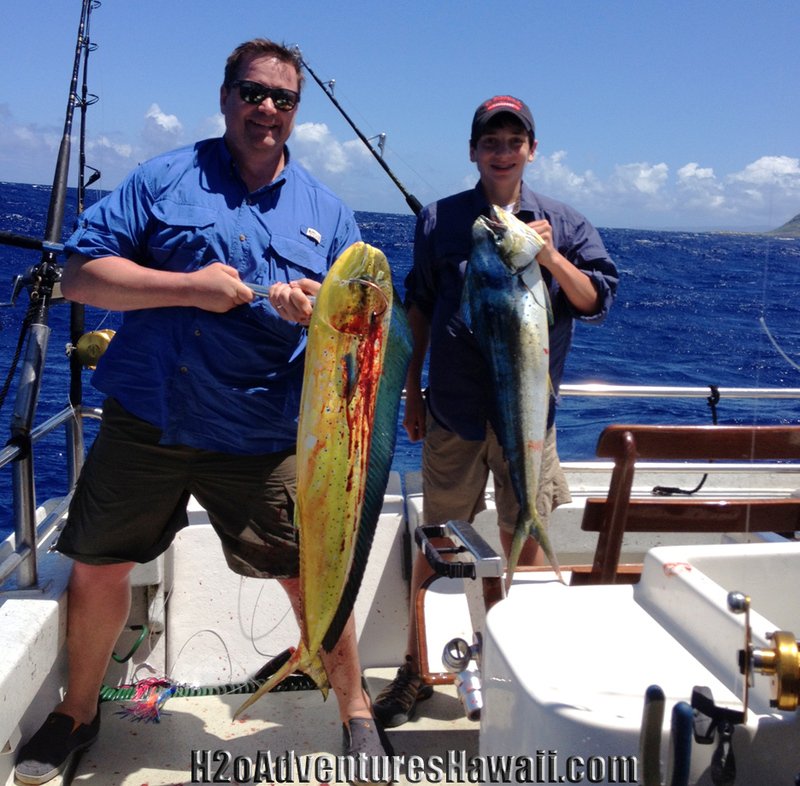 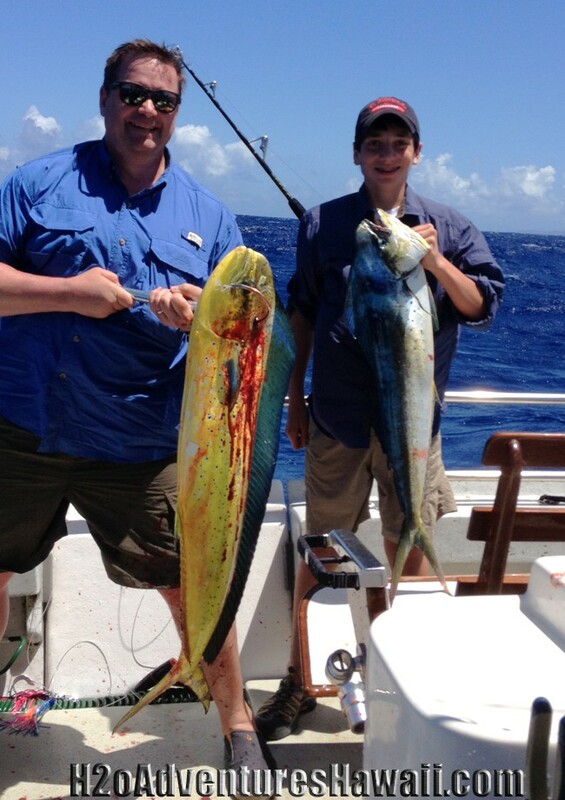 Plenty of Mahi Mahi action and huge Ono ( Wahoo )! 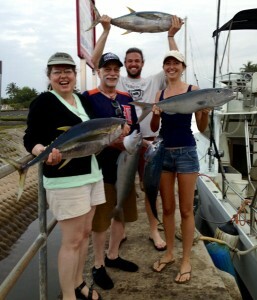 It was great to have you guys aboard The Seeker, good job! Hope to see you back again next year! Some nice catches for recent Half Day Charters! 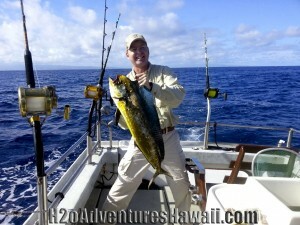 Springtime Fishing on the North Shore! 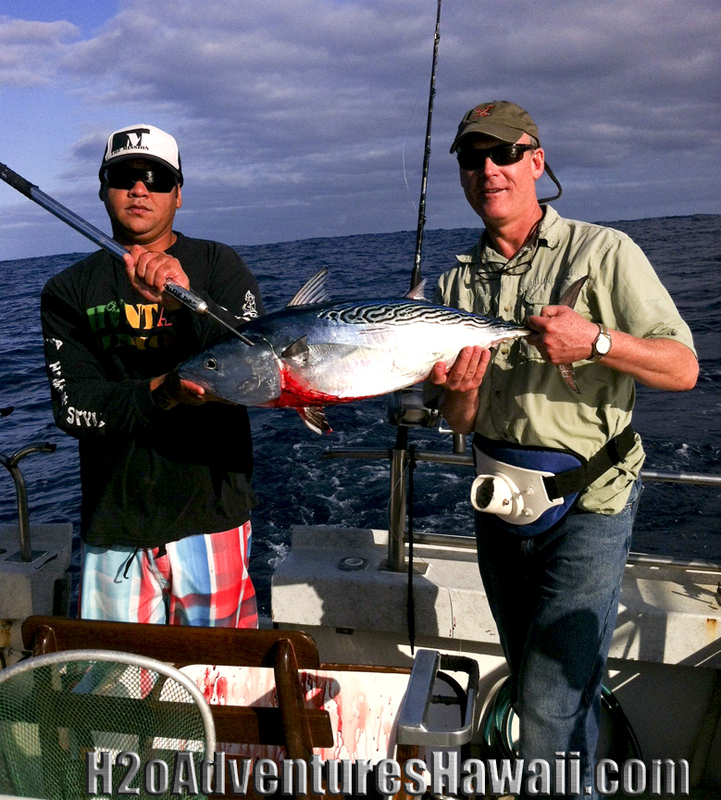 The Seeker’s been pulling in some quality fish on both half & full day charters. 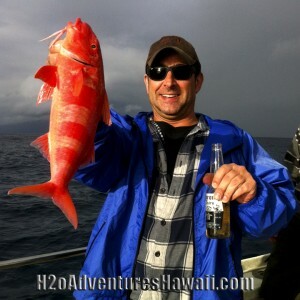 Here’s a couple pics from some recent Half Day catches! Tuna caught trolling, Weke Ula caught jigging the reef. 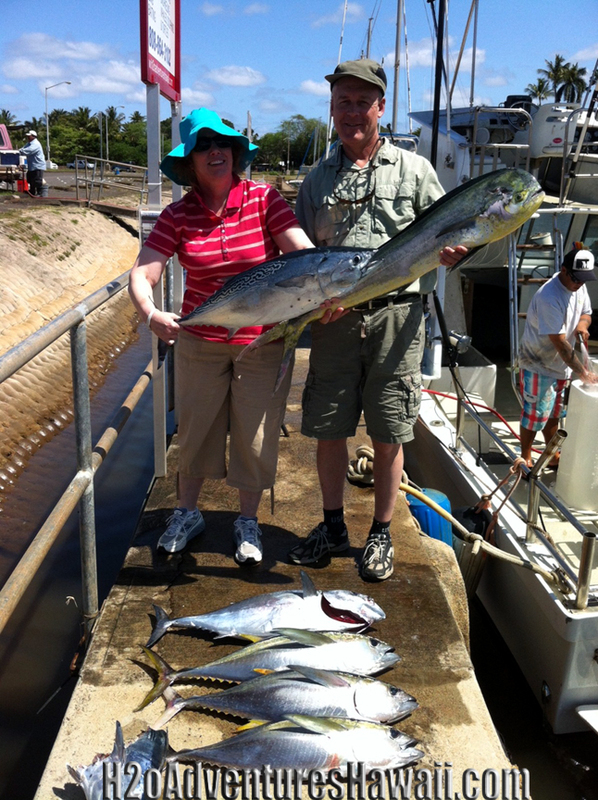 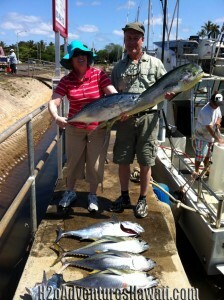 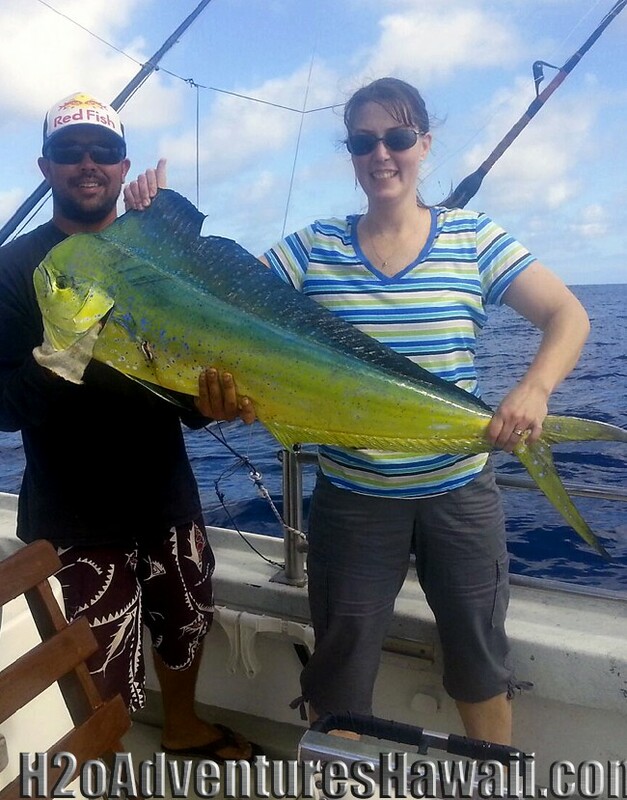 Mike & Margaret from Utah had a fun day on their half day charter aboard The Seeker catching Mahi Mahi & Tuna! 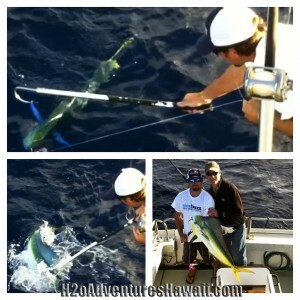 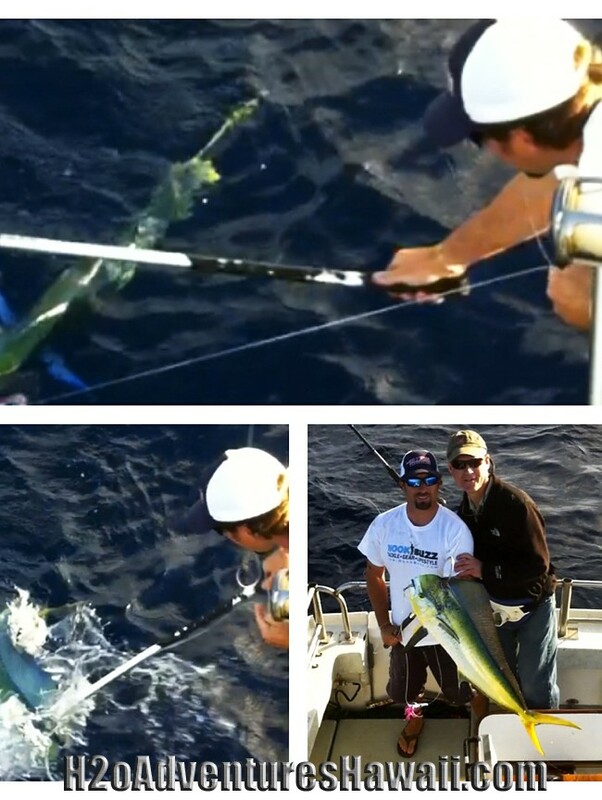 The Day's catch of Tuna & Mahi Mahi! 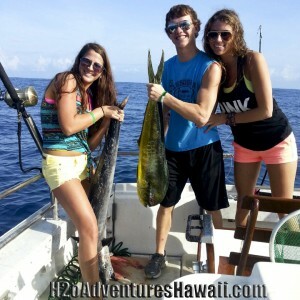 Half day charter aboard The Seeker.